A routine eye exam is a wellness checkup that focuses on measuring your vision and determining the refractive state of your eye, also known as measurement for glasses prescription. A routine vision exam includes screening for some common eye problems but does not include treatment of eye problems or diseases. If a medical eye problem is discovered, you may be asked to return for a medical exam and/or further testing. Refraction is the part of the vision exam that determines if a prescription is needed for glasses and what strength the prescription should be. 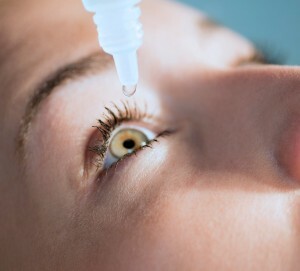 This is the first step to determine if you can wear contact lenses. Medicare does not cover refractions but does cover medical eye exams. A medical vision exam is a dilated wellness checkup that includes diagnosis or treatment of any medical condition of the eye. Diabetes, cataracts, and glaucoma are all medical conditions that require a dilated exam by an ophthalmologist. Many of these diseases are silent and can only be picked up by a careful eye exam. Dilation is the enlargement of the pupil which allows the doctor to look at the back of the eye, including structure like the retina, and the optic nerve. This enables the doctor to evaluate the health of the eye. Dr. Bunin will carefully evaluate you and listen to your concerns. She will then offer you the best options regarding your medical eye care. Dr. Bunin can help you understand your options and decide what’s best for you. If you do not have any eye health issues and are younger than 55, a vision exam is a good place to start. If you have any medical problems like floaters, flashes, red eyes, dry or tearing eyes, pain in the eye, lumps or bumps, cataracts, glaucoma, diabetes, or another systemic disease than can affect your eyes, then you should schedule a medical eye exam.